Being the most influential fashion designer of the late 1940s and 1950s, Christian Dior influenced fashion after World War II with the gorgeous silhouette of his voluptuous New Look. He was so famous in France at the time that it seemed as if he wasn’t a man but an institution. On top of that, Dior established his name across a global range of products including cosmetics, perfumes and, of course, fashion. 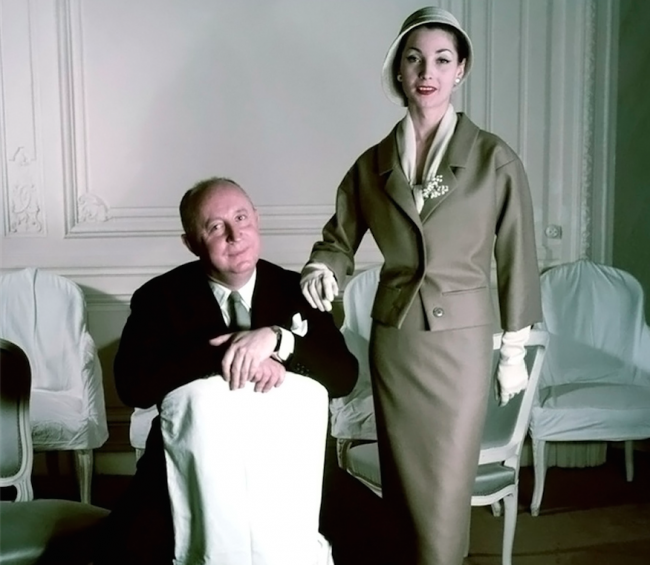 We take a look at the life and works of one of France’s greatest fashion designers, Christian Dior. 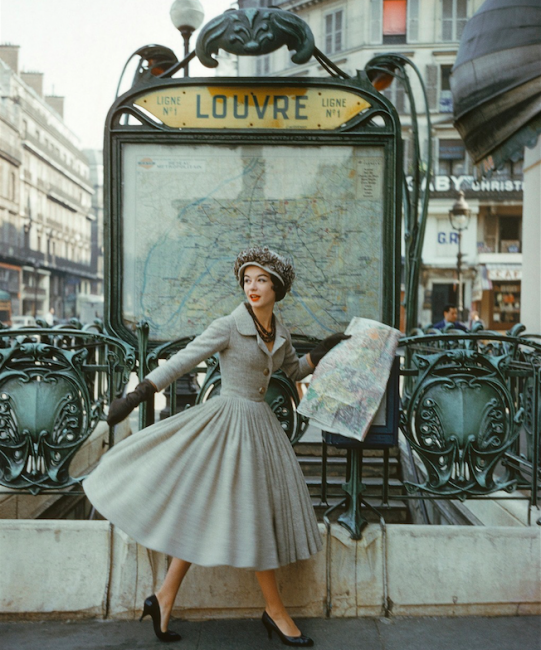 Christian Dior was born in 1905 in Granville, a small seaside town on the Normandy coast. In 1910, he moved to Paris with his family. Dior always wanted to work in art, but his father insisted on a good education, so he enrolled at the prestigious Ecole Des Sciences Politiques in Paris where he took a degree in Politics, which would prepare him for a diplomatic career. Despite this, Dior remained passionate about working in art, so in 1928, his father give him money to open an art gallery. Unfortunately, tragedy followed soon after, with the death of his brother followed by his mother, and the family collapsed, resulting in the closure of the gallery. To make a bit of money, Dior sold fashion sketches to haute couture houses until he was able to find a job as an assistant couturier. His position was interrupted by World War II in 1939, during which time he served as an officer until France surrendered to Germany. After the war, he joined his father and his sister on a farm in Provence until he was offered a job in Paris by couturier Lucien Lelong, who believed the Germans would revive the couture trade. Dior spent the rest of the war dressing the wives of German soldiers and French collaborators. France emerged from World War II in ruins, like many European countries. Buildings, clothes and food were destroyed or in short supply. However, the opportunities for new businesses emerged and fashion was no exception. Dior was invited by a childhood friend from Granville to revive Philippe et Gaston, a struggling clothing company. The two men met, and Dior explained his theory that the public was ready for a new style after the War. 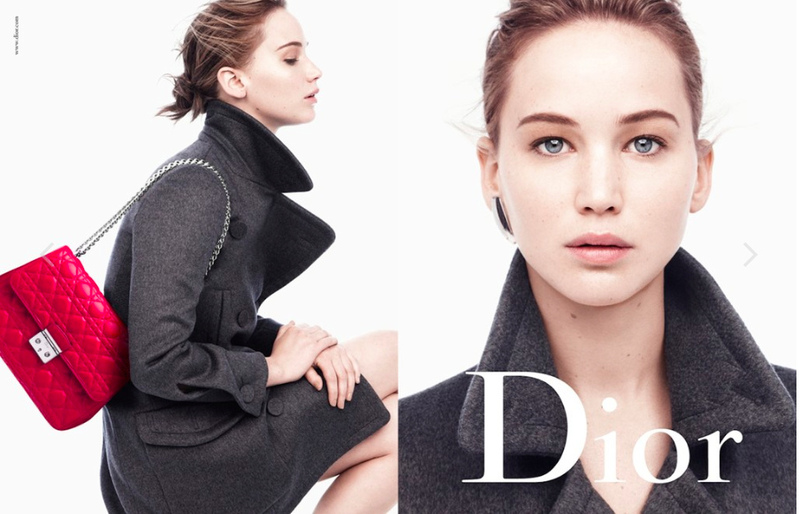 Dior described a luxurious new look with sumptuous and fluttering skirts. The house Dior and its 85 employees moved into a modest mansion that was decorated in white and grey, Dior’s favorite colors. 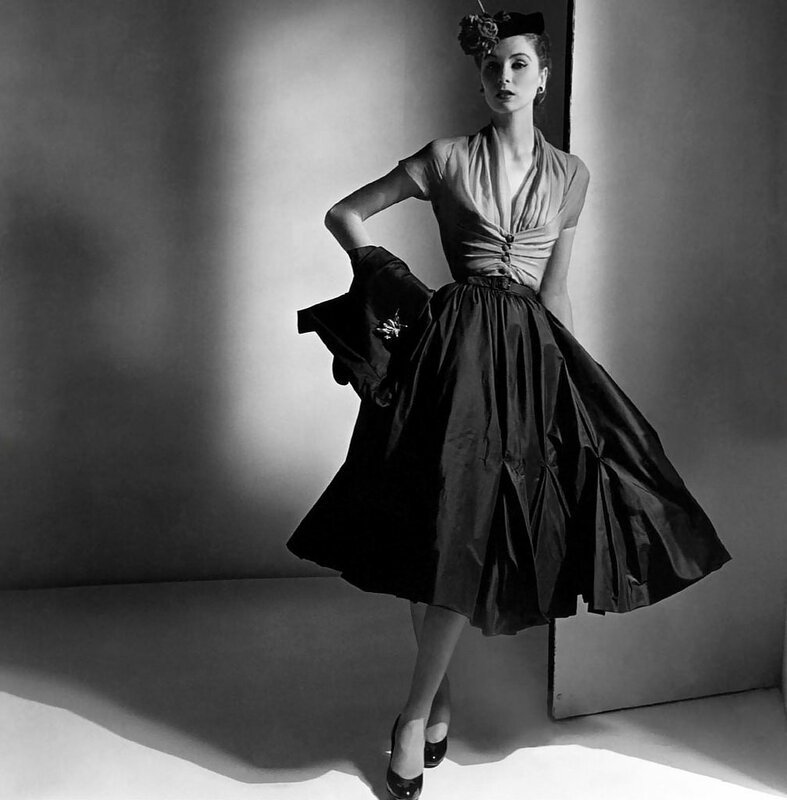 The ‘New Look’ appeared in 1947 during the first Christian Dior couture fashion show. 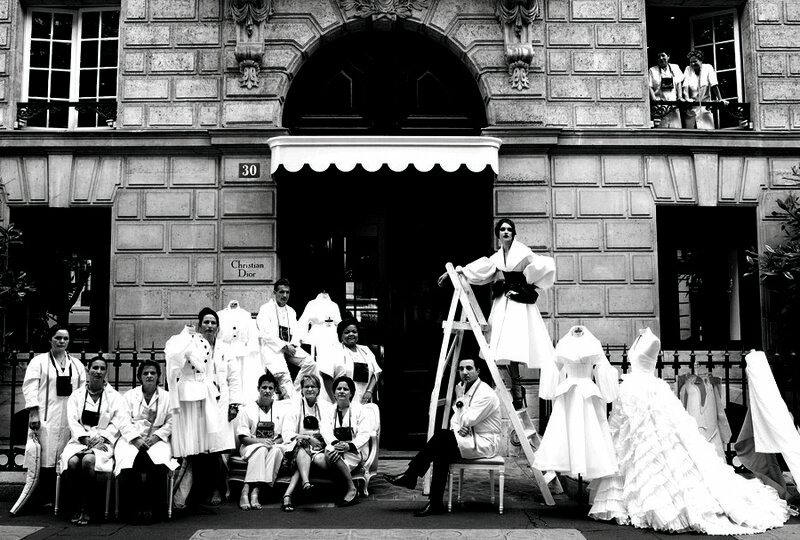 At the time, the Paris couture trade was in a precarious state. What it needed was excitement, and Christian Dior delivered it in a collection of luxurious clothes with soft shoulders, waspy waists and full-flowing skirts intended for what he called flower women. ‘It’s quite a revelation dear Christian Dior’ pronounced Carmel Snow, the editor of US magazine Harper’s Bazaar. ‘Your dresses have such a New Look.’ And here it was: the New Look dresses were born. The timing was absolutely spot-on: Dior was correct in his perception that people wanted something new after years of war, brutality and suffering. His New Look was reminiscent of the Belle Epoque ideal of long skirts, tiny waists and beautiful fabrics. Dior himself attributed his inspiration to the pretty, elegant clothes he had remembered his mother wearing to the Deauville Races in the 1900s. The New Look became a post-war cultural symbol for what Dior himself described as ‘Youth, hope and the future.’ After the creativity and resounding success of his first collection, Dior established himself as a cautious and methodical designer. Succeeding the New Look style, new collections were designed as a prolongation of this look. With highly composed clothes, these collections were named after the garments silhouettes: the ZigZag line, A Line, Arrow Line, etc., and all of his collections were realized with the finest tailoring and the most sumptuous fabrics. As an admired Paris couture house, Dior attracted the most talented assistants. One of them was Pierre Cardin, an Italian-born tailor who was Dior’s assistant in the late 1940s before he left to open his own business. Another famous assistant he had was Yves St-Laurent, a gifted Algerian-born designer who joined in 1955. 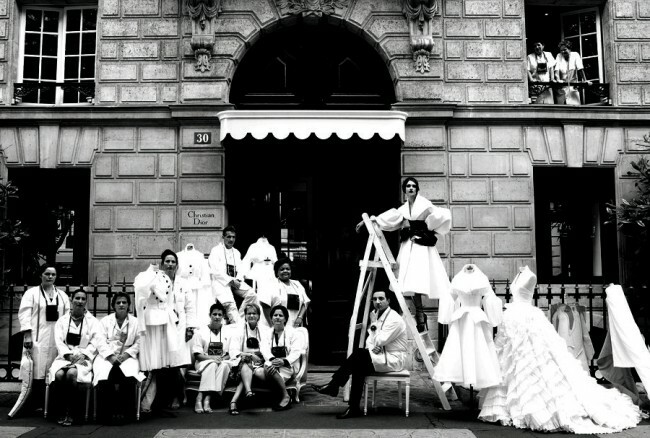 Yves St-Laurent just graduated of the Chambre Syndicale fashion school. As timid as Dior himself, Yves St-Laurent flourished in the feminine atmosphere of the couture house and contributed to 35 outfits for the autumn collection in 1957. Once the collections were completed, Dior decided to take some time off in a spa in Montecatini, (northern Italy) hoping to lose weight in order to impress a young lover. However, it did not quite go to plan, as Dior died ten days later of a heart attack after chocking on a fishbone at dinner. It was a sorrow for Paris, for the whole world. Marcel Boussac sent his private plane to Montecatini to bring Dior’s body back to Paris. His funeral was attended by many, including all of his staff and his most loyal clients (notably the Duchess of Windsor). The house of Dior continued to be a success even after the death of Dior in 1957, with Yves Saint Laurent taking over the company. In 1996, John Galliano took the helm of creative director. His first collection was showcased on the 50th anniversary of the brand. The British designer is famous for establishing the look called ‘Anything Goes.’ However, he was dismissed from the House of Dior for making anti-semitic comments. Bill Gaytten overtook the company for a short period of time until Raf Simon’s joined the team in 2012 as the creative director of the House of Dior. However, three years later, he decided to leave the company to focus on his own brand. The new creative director of Dior is still being kept secret. Today, The House of Couture Christian Dior remains one of the most important leaders in the world of fashion, continuing over 60 years of success. 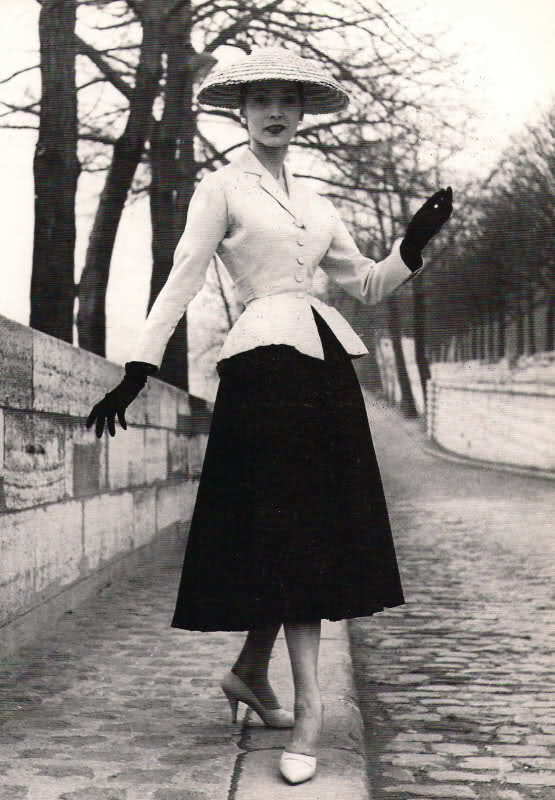 Over the past two centuries, Dior remains perhaps one of the most famous and respected designers. Christian Dior was a gentle man. He understood women, he loved the feminine aspect of fashion and his name became synonymous with taste and luxury. The House of Dior is the perfect definition of the Haute Couture Francaise: delicate, sophisticated and full of character.